Hello, there. I'm just getting the hang of this email and, oh my, there is a lot to learn. So many buttons! Well, it seems there are more than a few of you out there that could stand a little more empathy and understanding in your lives. 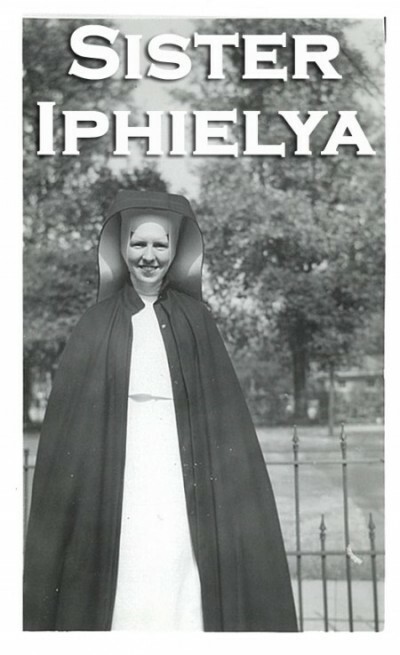 Sr. Iphielya is here and in the motherhouse, so let's spend a few moments together, shall we? I received many, many letters since I made my debut on Mary Tyler Mom last week. I love her, don't you? Such a nice lady. Where was I? Oh, yes, the letters. I do wish to respond to all of them, and I will, but it will take some time, please. Single file will do nicely. Christmas is just around the corner. Seven days and counting, my friends! This time of year is difficult for many of us. So much to do, so little $ to do it with, so many dramas with the family, and lots and lots of deep seated feelings of grief and loss bubbling up to the surface. In the convent, I learned that efficiency is a virtue, so I am going to try and address two letters with one post! During this season of joy, merriment, family and office gatherings, many of our hearts hang heavy with the things we don't have, but wish we did. For some, it is toys for the little ones. For others it is that little one -- the little baby we wish to hold and call our own. And for others still, it is the one who held us when we were babies. The holiday season often means we spend lots and lots of time with cookies and cousins. There is small talk and good cheer, but there is also forced cheer. You know what I mean, don't you? That gathering where all together are doing their level best to ignore the sadness that is shared, but so often not discussed. One of my letter writers wrote to me in hopes of finding another mother, as she had lost her own this past summer. Oh, dear. Losing a mother is hard. I know this myself. For those of us lucky ones, our mothers were all they should be. They loved and cared for us, cheered us up, prodded us, poked us when needed, and held us when things weren't going too well. There is no other soul that does quite what a mother does for us, is there? 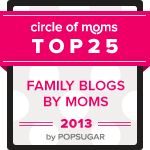 If you've lost your mom, these holidays of family and cheer can be difficult. And as hard as Christmas Day will be, Mother's Day will hurt you, too. I like to think that the holidays turn up the volume of our hearts. All that we feel is just a little more intense this time of year. And that first year? That first year when your mother won't be baking the cookies, wrapping the gifts, encouraging her flock to behave as they should -- that is one of the hardest of all. I've some words of advice for you. Nuns always do, you know, have words of advice. I do hope you will consider them in the spirit in which they are offered -- with love and empathy. Consider remembering your Mom that day. Be it with the green and radish Jell-o mold you told me about, or with a toast before the feast. Talk about her. Mention her name. Acknowledge that she is missed. If tears are shed, offer a Kleenex. There is no shame in a tear being shed for a loved one gone before us. We miss them. It's okay to talk about that. Other gatherings may include a loss that is more personal. Like for the reader who shared the difficulty of infertility. Unlike losing a mom, a grown adult who all recognize and miss when gone, the loss of a child through miscarriage, or even the idea of a child, the desire of a child, is not always as well recognized. People don't understand it, do they? There is no great way to grieve that loss publicly, or even with others you may be close to. I might suggest, when the well intentioned (one hopes) comments come about, as they most certainly will, you act as a duck and let that water roll off your back. Talk to your partner about your pain. He, or she (it is the 21st century, even for us nuns), will understand in a way others will not. Or, at least, I hope they will. I suppose even your partners don't always understand that pain. My point is, dear one, is that the insensitive comments you receive are uneducated, but not malicious. They want for you what you want, these folks free with the advice, and think their comments might just help. You know and I know they do not. This week of celebrations will no doubt provide ample opportunity for the "well intentioned" in your life to trot out their advice for you. They don't want to know of your medical difficulty. They just don't. They want you to have a child, because they know you want one. It is sad, to be sure, but I believe it is true. Harsh, perhaps. I am sorry for that. I know from experience the holidays can be brutal. Sr. Iphielya wants to prepare you for that brutality. Arm you with some coping skills that will help you get through the day. Some years, that is the best we can hope for, right? Get though the day. I assure you that come January, that volume on your feelings will eek down just a bit. You will feel a little more yourself and less vulnerable. I do hope so for you.